From the Georgian age, Birr Castle has stayed true to 18th and 19th century character with tree lined avenues around formal and well-planned gardens. Birr Castle Demesne and Historic Science Centre is one of Ireland’s Top Attractions. 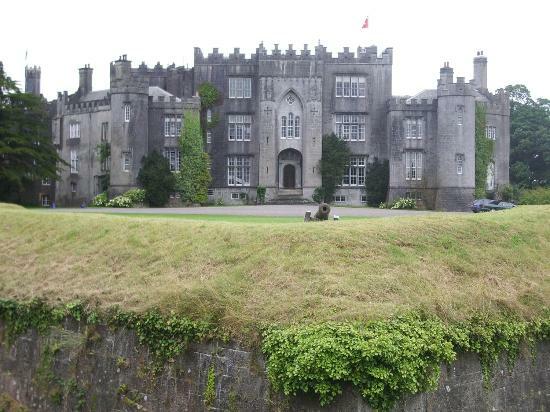 The town Birr developed around the Birr Castle estate of the Parsons family, the Earls of Ross who for fourteen generations contributed to the history of the town. Box hedges there are documented as the tallest in the world and feature among more than 1,000 different species of trees and shrubs were collected from all corners of the world. Birr Castles Historic Science Centre recounts many pioneering achievements in astronomy, photography, engineering and horticulture. The restored Great Telescope, built at Birr Castle in the 1840s and the largest in the world for 70 years, can also be viewed. Offers something for everyone to enjoy and is especially interesting and educational for families. Starting with Ireland’s Historic Science Centre in the old stable block, with its café and shop you can then explore 50 hectares of park land, visit the magnificent Formal Gardens and terraces and discover Birr’s world famous engineering and astronomical wonder – the Great Telescope.